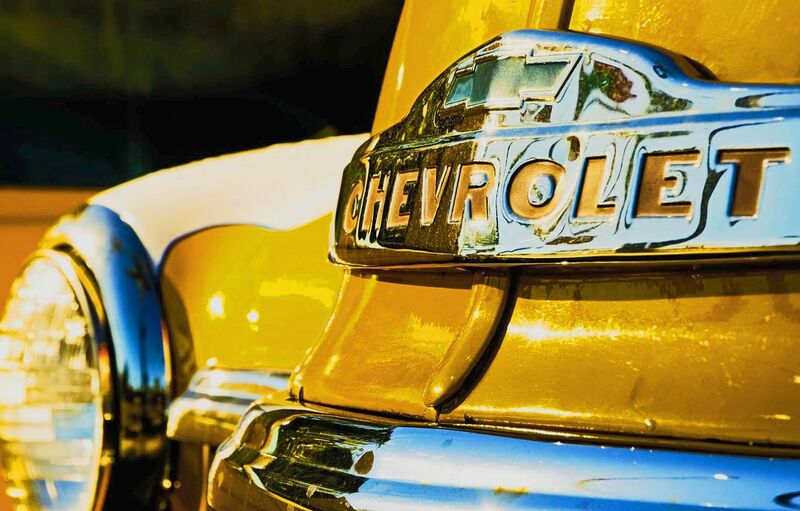 A classic ol' Chevy, circa 1950s, sitting idle in the early morning light on a used car lot in Southern California . . .